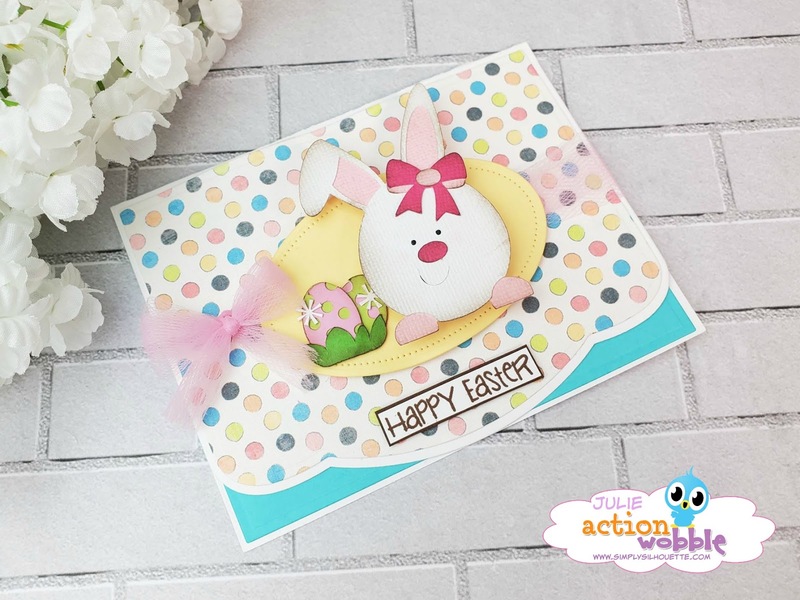 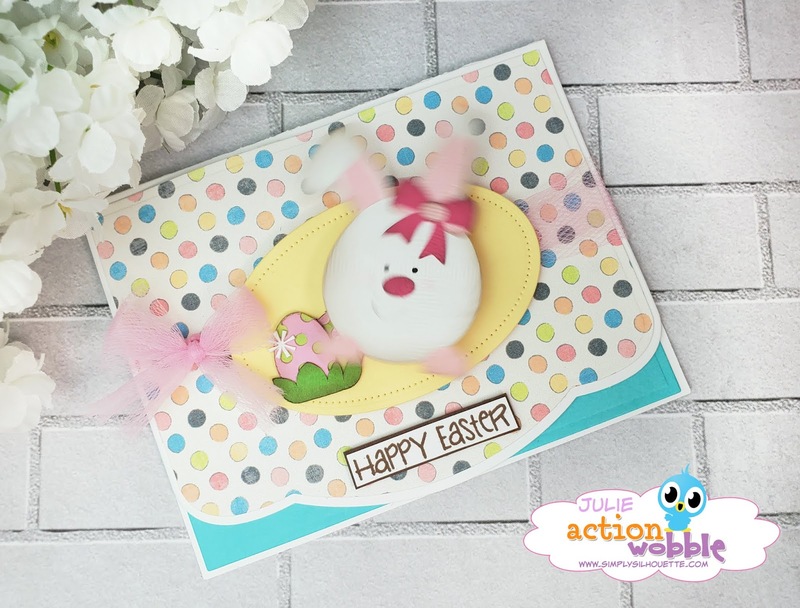 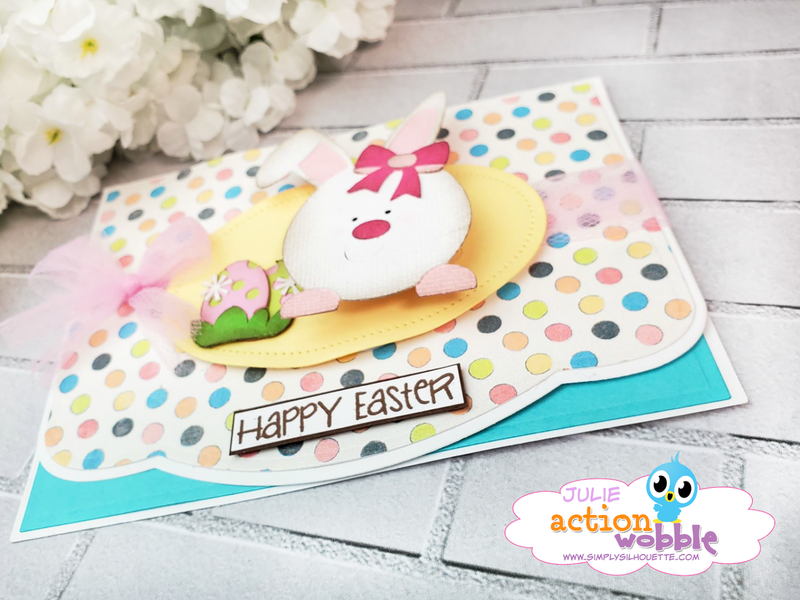 Easter theme and an Action Wobble. The Cute Easter Bunny file from Miss Kate Cuttables. Party Time Digital Paper set from Miss Kate Cuttables.